Aromatherapy can be helpful for a variety of ailments including poor sleeping pattern, colic and infant eczema - come and develop your skills with us. This ever popular seminar offers the chance for you to develop further knowledge of the use of essential oils in paediatric care, a clinical area expanding quickly as parents and health professionals embrace the natural effectiveness of holistic therapy. Following this seminar you will be equipped to treat children safely and effectively using a full range of essential oils, carrier oils and floral waters suitable for use with both little ones and young people. Many courses teach infant application only, but this seminar deals with all ages 0-16 and covers a wide variety of conditions that present themselves to children as they develop. 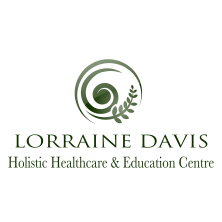 ​I have enjoyed an absolutely fantastic day learning about aromatherapy for Infants and Children, Lorraine is a wonderful teacher who's knowledge and passion is unparalelled, thank you so much for a wonderful day.